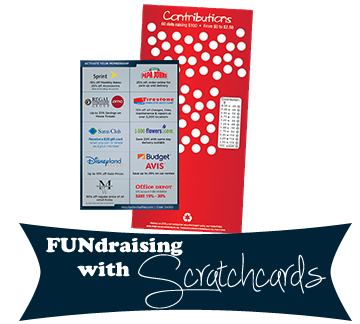 Have you ever wondered why companies make it so difficult to fill out their donation forms? Gene wondered so he sent us an email asking us that very question. Instead of just sending him an email, we figured we would answer the question for everyone, in case you were wondering too! Asking for donations online is convenient for just about everyone. For companies it means that they can easily track and compare standardized solicitations from various organizations and causes. For non-profits, it means that you can use search terms like “‘company name’ donation requests” and pull up a whole host of opportunities that you might not have thought of on your own. The down-side, is that with this increased exposure of companies and their donation policies, companies are being slammed with requests. One way to combat this is to make sure that those who are filling out the forms really want the donation. To do this, companies beef up their requirements and paperwork that organization need to provide to actually make the request. It stands to reason, that the bigger the company the longer and more complicated the form will be. As an example, when you look to request park tickets from Disney, you need to answer 9 questions before even seeing the prompt for the donation form. If you answer those 9 questions correctly, Disney then requires you to create a username and password before filling out the form, which will take anywhere from 60 minutes or more, and is so long that you can actually save your work and come back to it. On the other hand a much smaller, local business might just request a quick one-page contact form that can be completed in 2 or 3 quick minutes. 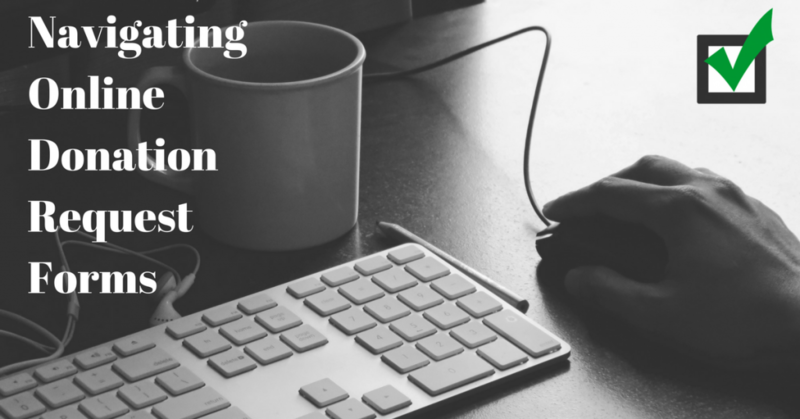 Here are some tips for navigating the online donation request market. Start with a great letter first. Your solicitation letter can be a handy tool when filling out these forms. A well-written letter will have much of the information you will need. If you need help making sure that your letter is the best it can be, check out our letter review service here. Be prepared with other important information. Many of the larger companies will ask for things like your mission statement, board of directors, and trustee names. Much of this can usually be found on your organization’s website, so keep that up and running in a nearby window, or have your organization’s handbook nearby. Make sure you have the time. Not all companies let you create a username and password allowing you to save your work, so make sure that you have the time to complete the entire form. Pull together a committee. You probably already have a committee working diligently on pulling your event together. You probably even have a committee that is focusing solely on collecting donations, which is great! Make sure at least one of those people is solely responsible for online donations. You don’t want to duplicate your requests (that’s a surefire way to get rejected). If you are planning on soliciting many companies online, consider having a couple of people working on this. It can be a very time-consuming process, but the advantage is that you can do it at any time of the day. Try using UltimateDonations.org to provide you with relevant companies and to keep you organized! Know when to solicit. Some companies make all of their donations at the beginning of their fiscal year, some do it rolling by quarter, and some want your donation request 2 years in advance. Make sure you know what their policy is so that you can have the best chances for success.